Here we are again, talking about the 5 remaining in our 10 most popular diamond cuts. In this next group you will meet the most popular of the 10, the round cut and the most romantic in the heart cut diamond. You now have met all the contestants, so you can choose your favorite one of all. Happy picking for there are no wrong answers because they are all beautiful in their own unique ways. 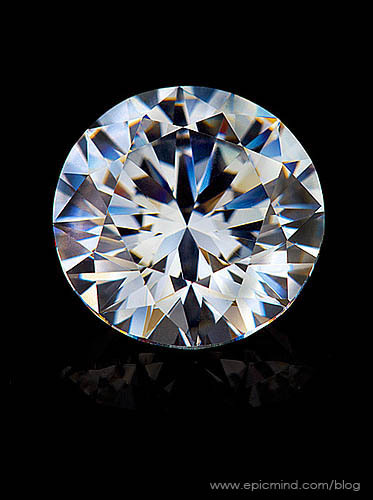 **As an important side note, diamond cut, in the 4cs (color, cut, clarity and carat) does not refer to the shape of the diamond but instead the diamond's facets and proportions. These are the elements that give diamonds their fire and brilliance. What we will be referring to as "diamond cut" in this blog is the actual geometric shape of the diamond. Having only existed for the past 100 years or so, the 58 faceted brilliant cut round diamond is the most popular diamond cut. It makes up about 75% of all diamonds sold on today's market. Because of its shape the round diamond has the most fire and brilliance of all the diamond cuts. 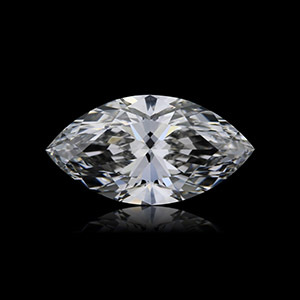 Round diamonds often cost more per carat than their fancy cut counterparts for two reasons. First, the demand for round diamonds is very high and secondly, more rough stone is lost during the cutting process than in any of the other cuts. The marquise cut diamond is a modified brilliant cut. This particular cut dates back to the reign of King Louis XIV of France. It is said that, he commissioned a jeweler to design a diamond cut to the shape of his mistress's perfectly shaped mouth. Marquise diamonds are by nature long and narrow, giving the wearer the appearance of longer slimmer fingers. 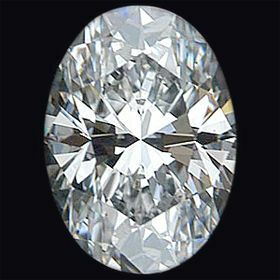 Additionally, this long and narrow shape gives the marquise diamond the illusion of greater sizes. Carat for carat, this diamond has one of the largest surface areas of any diamond shape, making this cut an ideal choice when trying to maximize the perceived size of a diamond. 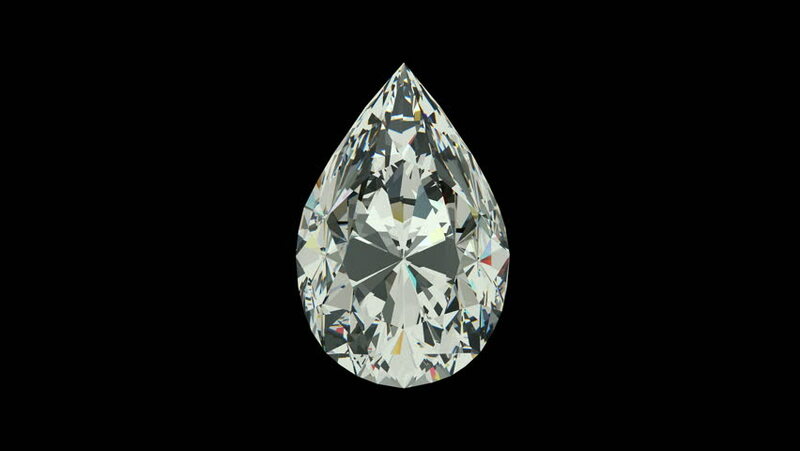 The pear cut diamond, also, referred to as the teardrop cut. This diamond takes its cues from both the round brilliant cut and the Marquise cut diamond, combining both their brilliance and design into one unique shape. This shape should always have a prong set at the point, as this will protect the most vulnerable part of the diamond from any damage. Perhaps the most famous pear shaped diamond, was the Taylor-Burton Diamond, a whopping 69.42 carat beauty. This was one of Elizabeth Taylor's most well know and beloved pieces in her extensive jewelry collection. Created by Lazare Kaplan in the 1960's, oval cut diamonds are a modified brilliant-cut and have about 56 facets. Because round and oval cut diamonds have a similar fire and brilliance, the oval cut diamond is an ideal choice for someone who likes the look of a round cut diamond, but wants something a little bit more unique. This shape is extremely wearable, with no sharp corners or points which can be vulnerable to damage. A big plus for someone who works a lot with their hands! 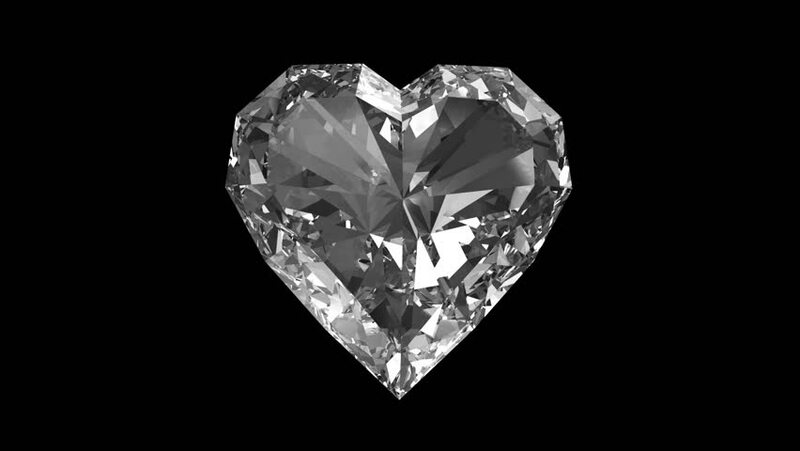 The heart shaped diamond is a unique and unmistakable symbol of love. Historically, these specially designed diamonds were exchanged between royalty as a sign of good will. In the late 1500's, Mary Queen of Scots sent Queen Elizabeth a beautiful ring with heart shaped diamond in it as symbol of friendship. It is important, when choosing a heart cut diamond, to pay close attention to its symmetry. It is vital that the two halves of the heart be identical.